With the July 21st release of her sophomore project Battlefield (also the title-track of her first single), Sparks is ready for follow-up musical combat showcasing a new look and a confident maturity. The album was mostly recorded in New York, Los Angeles and Nashville with marquis collaborators Dr. Luke, T-Pain, Stargate and Max Martin. "’Faith’ is the encouraging, inspirational song. I wrote this with Toby Gad and Lindy Robbins right before the inauguration, when there was such hope in the country. With what’s going on in the economy now, with the troops still at war and everything the world is going through, it offers assurance that things will be okay for anyone down on their luck or feeling loss. I really fought to get this one on the album. My fans need to hear this. It’s a very simple song, a ballad driven by piano, and it came out so well." “The Cure” is the ballad love song and offers a hand to hold. "I wrote this song with Claude Kelly and I love the cool play on words, talking to the person you love: ‘Just come with your heart and leave the rest to me, I promise I’ll be your cure. Just show me where it hurts and I’ll be the medicine you need.’ “‘Battlefield’ is a song about love, but with big production and a little more angst. That was fun to sing, because it’s a big song with an edge to it.” The set also includes a cover of Fefe Dobson’s “Don’t Let It Go to your Head,” a personal favorite of Jordin’s, and a bona-fide dance smash, ""S.O.S (Let The Music Play)" which samples the classic Shannon hit. Sparks was driven by the arts from a young age—but no one could have imagined just how fast ambition would rev into realization by the time the singer reached her mid-teens. Born in Phoenix, her father was an NFL player for the New York Giants and Dallas Cowboys, giving Sparks a first-hand view of life in the public eye. Early on, she demonstrated determination to score a musical touchdown, winning a number of talent competitions, including Gospel Music Association’s GMA Academy, NBC/PAX TV’s “America’s Most Talented Kids,” Colgate Country Showdown and the Drug Free Arizona Superstar Search. In her home state, she was named Best Young Artist for three years running. But it was Sparks’ audition for season six of “American Idol” in summer 2006 when the then-16-year-old moved into the fast lane toward international acclaim. After winning KSAZ-TV’s “Arizona Idol” contest and ultimately became the youngest victor on the nation’s No. 1 TV show in May 2007, at age 17. 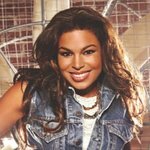 On the heels of becoming the youngest American Idol winner, Jordin released her self-titled debut album in November 2007 on 19 Recordings/Jive Records, and the critically-acclaimed Jordin Sparks went on to sell over 1.6 million copies worldwide, earning U.S. platinum status, and spawning three Top 5 hits on Billboard’s Pop singles chart including: “Tattoo,” “No Air,” and “One Step At A Time.” Cumulatively, these popular singles have sold almost 9 million downloads/ringtones. Sparks recently completed her stint as the opening act on the Jonas Brothers North American leg of their 52-date tour, which was sponsored by Mike and Ike candies and Alex’s Lemonade Stand Foundation which is helping to raise funds for children with cancer. The partnership was especially important to her as she has unfortunately had many people close to her in her life diagnosed with cancer. This past September Sparks also opened for “The Circus Starring Britney Spears” North American Tour. In 2007, Sparks was asked by a relative who works for SOS Children’s Villages – USA in Florida to design a denim jacket festooned with Swarovski Crystal to support orphans. Google trends for "Jordin Sparks"